As has been demonstrated several times in Church Monuments, the redating later of the earliest English military brasses has made it necessary to reconsider the dating and identification of a number of stone and wooden military effigies hitherto ascribed to the thirteenth century. Our purpose here is to do this for the three well-known Purbeck marble figures contained in freestone tombs in the wall of the North Chapel of the parish church of St Thomas Becket, Winchealsea, and to further reconsider all the medieval tombs there in the light of the conclusion reached. 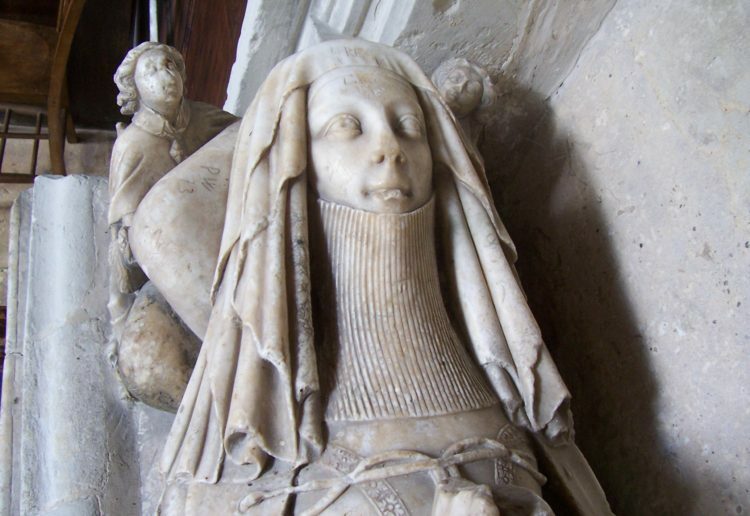 A careful survey of the Beresford Monument and an in-depth comparison with a variety of other shrouded effigies reveals it to be far more than a macabre oddity. Possibilities are raised for a new interpretation of its composition and intent. The term 'crysom' has long been used to describe effigies and weepers of swaddled infants on tomb monuments yet the exact meaning of this word has seldom been queried. It is doubtful that these figures portray infants who died before their mothers' churching and who were actually buried in their baptismal clothes, as has often been claimed. Instead they are more likely to represent infants who died in the swaddling stage, i.e. within the first few months of their lives. As such they illustrate a need on the part of parents and siblings to commemorate the brief lives of those children who might otherwise have been ignored by history. Conservation work on the late seventeenth table tomb of Sir Hugh and Lady Smithson had provided details of the original location and design of the monument. It has also enabled the sculptor to be identified as (William) Stanton of London. This article reviews a series of documents connected with the construction of the pyramid monument to the London surgeon, Francis Douce, which was completed in the late 1740's. It discusses the general history of Egyptology in the mid-eighteenth century, in particular the interest of surgeons in the subject of Egyptian embalming. As Douce's pyramid was built with the declared purpose of preserving his remains until the Last Trump, the article touches upon the issue of corporeal resurrection. 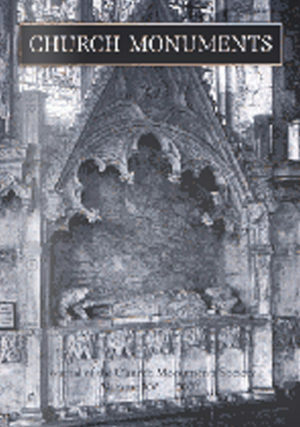 Beyond this it argues that a belief in corporeal resurrection endured in educated English society, despite the weight of rationalist arguments concerning its practical feasibility. Monuments in St John's Cathedral and the adjacent Yarborough Cemetery in Belize City, Central America, span the nineteenth century and include wall tablets in stone and brass, upright and various formats of recumbent gravestones. There is no figured sculpture, and the monuments commemorate the official and mercantile class that ruled and modestly prospered in the colony of British Honduras. Masons' names show that some monuments were imported from London, others from Scotland, the United States and Jamaica. Although the Cathedral was arguably an Anglican preserve, the cemetery was multi-denominational and multi-national.